I am writing this to ask for your prayers and support for my husband, Bryan Morath, who is in desperate need of a heart transplant. I was blessed to become Bryanâ€™s wife in January, 2013; complementing already being his best friend and soul mate. This was the beginning of a new, wonderful, and greatly expanded family. Bryan is only 53 years young, a loving and caring father of two beautiful girls. When we married, he was welcomed by my two children, their spouses and two grandchildren. Bryan has lived with congestive heart failure since January 2000, suffering a severe heart attack that damaged more than a third of his left ventricle. Since then, he has had serious, recurring heart problems, undergoing multiple surgeries to replace his (ICD) Internal Cardiac Device. Bryan continually worked with his doctors and medications for the last thirteen years to enjoy a blessed quality of life. The last week of September 2013, Bryan experienced a debilitating arrhythmia which caused his heart to race uncontrollably for over six hours. He was transferred to Carolinas Medical Center Heart Transplant Unit in Charlotte, NC. After four days of evaluations, his doctor panel agreed that his condition had deteriorated to the point where he needs a heart transplant to survive. A deciding factor in the doctorsâ€™ decision is Bryanâ€™s faith, positive attitude, and a determination to live a full and productive life. The company Bryan worked for does not have enough employees to qualify for the family medical leave act and he has been terminated from his full time position. Paying for COBRA insurance at triple regular cost, uninsured expenses associated with transplantation such as co-pays, costly life-long post-transplant medications and travel to and from the medical center is becoming a great burden. 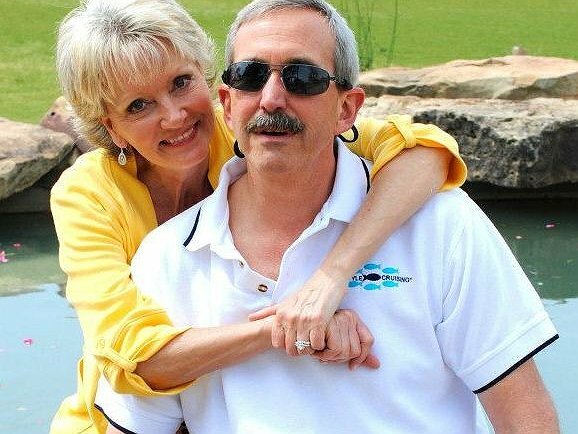 Due to the astronomical costs associated with heart transplantation, a fund raising campaign in Bryanâ€™s honor has been established with HelpHOPELive, a nonprofit organization that has been assisting the transplant community for over 30 years. All donations are tax deductible, are held in the South-Atlantic Heart Transplant Fund and are administered by HelpHOPELive for transplant-related expenses only. We ask that you support Bryanâ€™s path to recovery as he prepares to receive the precious Gift Of Life. Your continued prayers and contributions are greatly appreciated and will help Bryan survive this unbelievable challenge and return to his productive life as soon as possible. Our thoughts and prayers continue to be with you and your family. We were so very thankful when your mother called to let know of your successful transplant! We will keep you in our thoughts and in our hearts as you continue your recovery and return to good health. Bryan: I have been keeping in touch with your parents and my prayers are with you. Heard the wonderful news about the success of the transplant. God Bless you and your wife. Hi Bryan Prayers for you and your family and for a health speedy recovery. Thanks to your wife Linda for being there to help see you through. God bless and God speed. Hi Bryan and Linda I am a St Theresa Sister with your Mom Ruth, prayers are with you and your family, keep the faith.